Since our bodies do not produce calcium, we need to take in this essential mineral every day. Before deciding if you need to take supplements to meet your recommended calcium intake each day, you need to add up how much calcium is in your food. For #TipTuesday, learn about 5 nondairy foods with higher calcium content. Yes, kale is the latest trendy vegetable. 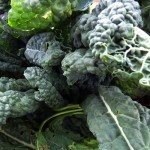 If you on munching on kale salads or other kale dishes, the good news is it contains calcium that is bioavailable. This dark green leafy vegetable provides about 100 mg of calcium per half cup serving. Kale actually has more vitamin C than a whole orange: 80 mg for 1/2 cup of raw kale versus 70 mg for a medium-sized orange. Vitamin C is good for bones, too. Previously these were only popular in the south and usually were cooked along with fat back. 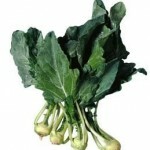 Turnip greens top the list of green vegetables with about 150 mg of calcium per half cup serving. So the next time you buy those beautiful turnips for a dish, save the greens and cook them as well. The popularity of bok choy has also grown beyond only Asian-inspired dishes. 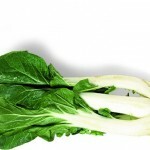 Therefore, you can find bok choy at your supermarket throughout the year. A half cup serving provides 130 mg of calcium. These legumes supply about 80 mg of calcium per half cup serving. Think about beans for a side dish instead of starches. They also are packed with protein. 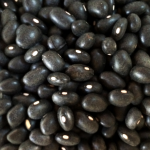 Beans always a good option for soup, but also you can use as a side dish, in your salads, or part of your entrée. Almonds make a great snack. 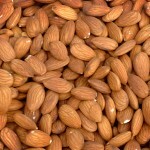 A handful of almonds is about one ounce, which contains about 50 mg of calcium. Also almonds are a good source of magnesium. Think about how you can enrich your diet with more foods containing calcium. These foods will help you get closer to your recommended daily calcium intake. 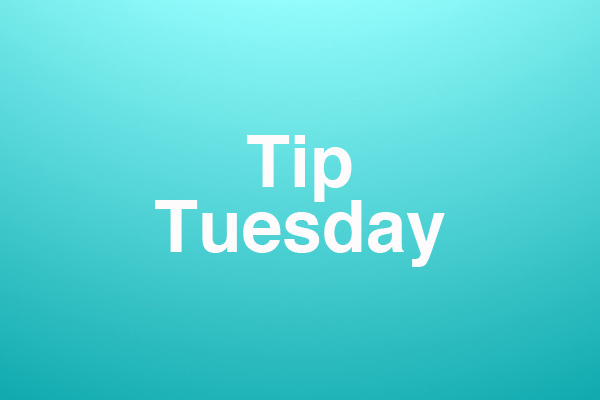 Remember “Food First.” Use calcium supplements to do just that-supplement your diet.